Investing in small-cap stocks has historically been a way to outperform the market, as small-cap companies typically grow faster on average than the blue chips. That outperformance comes with a price, however, as there are occasional periods of higher volatility. The time period since the end of the third quarter is one of those periods, as the Russell 2000 ETF (IWM) has underperformed the larger S&P 500 ETF (SPY) by about 4 percentage points. Given that the funds we track tend to have a disproportionate amount of their portfolios in smaller cap stocks, they have seen some volatility in their portfolios too. Actually their moves are potentially one of the factors that contributed to this volatility. In this article, we use our extensive database of hedge fund holdings to find out what the smart money thinks of Banco Bradesco SA (ADR) (NYSE:BBD). The smart money is growing slightly more bullish but remains underweight Banco Bradesco SA (ADR) (NYSE:BBD). 15 of the hedge funds tracked by our database owned a collective 1% of Banco Bradesco’s shares on June 30. 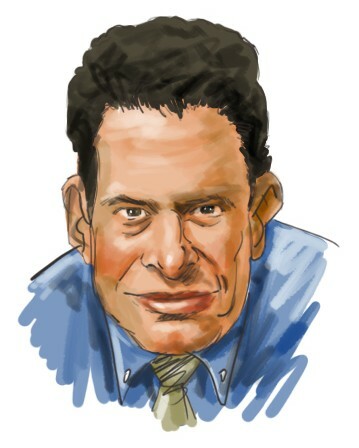 One of the company’s biggest bulls is billionaire Ken Fisher, though the stock’s 0.65% dividend yield wasn’t enough to rank it among the 25 dividend stocks that Billionaire Ken Fisher is Bullish About, with those stocks all carrying at least 2.8% yields. Today there are numerous tools stock traders put to use to analyze publicly traded companies. A pair of the less known tools are hedge fund and insider trading sentiment. Our experts have shown that, historically, those who follow the top picks of the elite investment managers can outclass the market by a healthy margin (see the details here). How are hedge funds trading Banco Bradesco SA (ADR) (NYSE:BBD)? At Q2’s end, a total of 15 of the hedge funds tracked by Insider Monkey were long this stock, a climb of 7% from one quarter earlier. 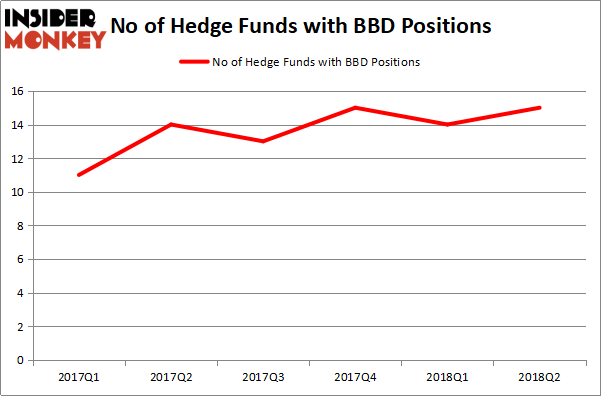 Below, you can check out the change in hedge fund sentiment towards BBD over the last 6 quarters. So, let’s review which hedge funds were among the top holders of the stock and which hedge funds were making big moves. The largest stake in Banco Bradesco SA (ADR) (NYSE:BBD) was held by Ken Fisher’s Fisher Asset Management, which reported holding $243 million worth of stock as of the end of June. It was followed by Arrowstreet Capital with a $92.1 million position. Other investors bullish on the company included Prince Street Capital Management, Capital Growth Management, and Renaissance Technologies. Now, some big names have jumped into Banco Bradesco SA (ADR) (NYSE:BBD) headfirst. Prince Street Capital Management, managed by David Halpert, established the most valuable call position in Banco Bradesco SA (ADR) (NYSE:BBD). Prince Street Capital Management had $28.8 million invested in the company at the end of the second quarter. Noam Gottesman’s GLG Partners also made a $10.8 million investment in the stock during the quarter. The following funds were also among the new BBD investors: Mike Vranos’ Ellington and Louis Navellier’s Navellier & Associates. Let’s now review hedge fund activity in other stocks similar to Banco Bradesco SA (ADR) (NYSE:BBD). We will take a look at Bank of Montreal (USA) (NYSE:BMO), Valero Energy Corporation (NYSE:VLO), American International Group Inc (NYSE:AIG), and Illinois Tool Works Inc. (NYSE:ITW). This group of stocks’ market valuations are closest to BBD’s market valuation. As you can see these stocks had an average of 27 hedge funds with bullish positions and the average amount invested in these stocks was $995 million. That figure was $523 million in BBD’s case. American International Group Inc (NYSE:AIG) is the most popular stock in this table. On the other hand Bank of Montreal (USA) (NYSE:BMO) is the least popular one with only 13 bullish hedge fund positions. Banco Bradesco SA (ADR) (NYSE:BBD) is not the least popular stock in this group but hedge fund interest is still below average. This is a slightly negative signal and we’d rather spend our time researching stocks that hedge funds are piling on.